Harrison Krix, aka Volpin Props, is someone whose work you should be very familiar with if you're a regular Kotaku reader. 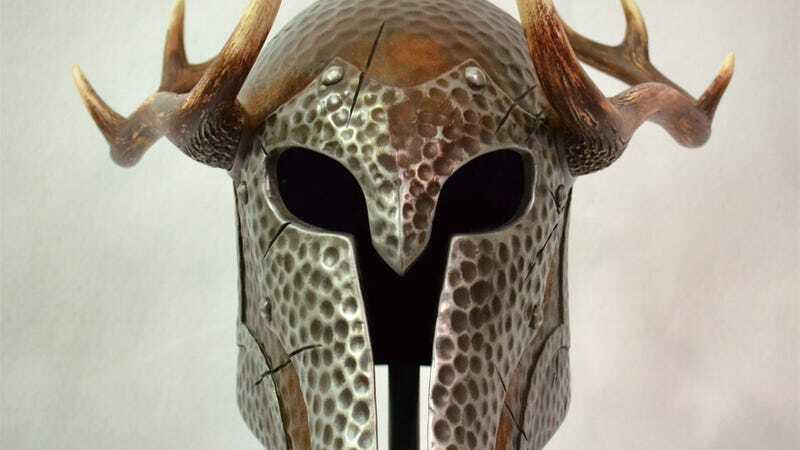 His latest piece is this incredible helmet from Skyrim, which through good design and fine craftsmanship reaches into the game, grabs a Draugr helmet off someone's head and rips it right back into the real world. He's posted a thorough development report on how he made the thing over on Instructables, which he says can be used not just as a guide to help you make your own Skyrim helmet, but to make your own anything helmet.